The mayor of the Libyan capital Tripoli, largely controlled by the UN-backed Government of National Accord (GNA), has been abducted and taken to an unknown destination in a move that stresses insecurity in the capital of oil-rich country. Abdulrauf Beitelmal was abducted early Thursday from his house, south of the Libyan capital by unidentified gunmen, reports say. Beitelmal’s municipality is aligned with the GNA and its affiliated Presidency Council (PC) backed by the UN. Gunmen from a militia reportedly raided his residence for unknown reasons and took him to a destination also unknown to local GNA authorities. In protest move against the abduction, the municipality Thursday suspended its work and called on residents and the GNA to ensure Beitelmal’s release. The Libyan capital is largely controlled by the PC and its ally militias but security in the city is still a challenge with the presence of other uncontrolled armed groups. 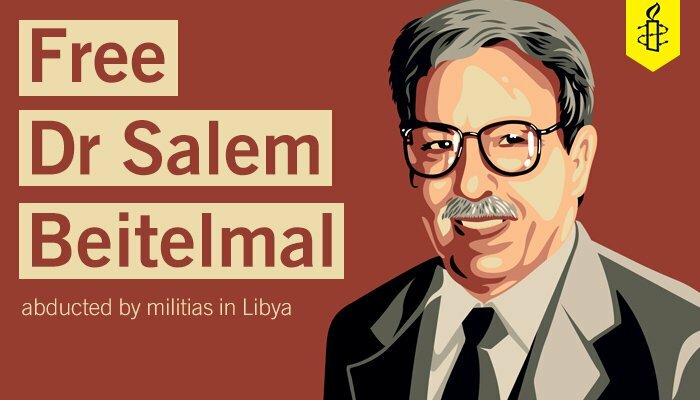 Tripoli has witnessed a recent scourge in abduction of political and military figures. 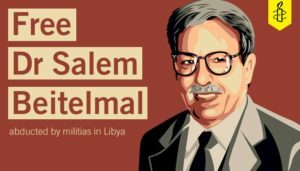 Beitelmal’s kidnapping follows those of PC’s Military Prosecutor Masoud Rahouma and former head of the General Union of Chambers of Commerce Juma Al-Ustal. The whereabouts of the two are still unknown. Written by: KanelkaTagba on March 30, 2018. Posted by KanelkaTagba on Mar 30 2018. Filed under Headlines, World News. You can follow any responses to this entry through the RSS 2.0. Both comments and pings are currently closed.